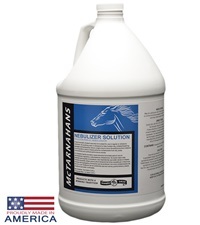 McTarnahans Nebulizer Solution 16 oz. 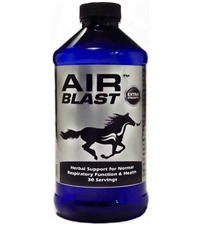 - Jacks Inc.
A liquid, aromatic inhalant with a soothing vapor. 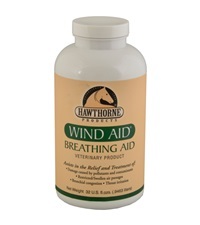 Used to moisten dry, irritated breathing passages. 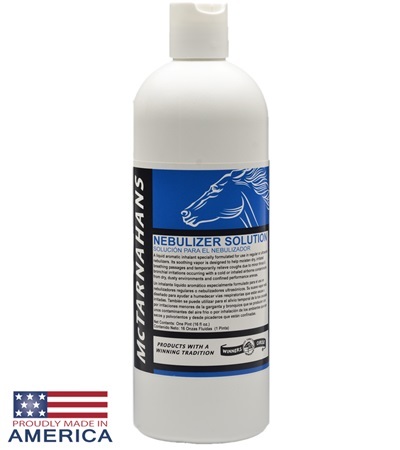 Can be used in ultrasonic and regular nebulizers. Use solution at full strength with Nebulizer. Do not dilute solution. 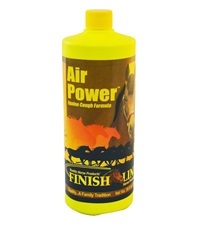 Finish Line® Air Power™ 34 oz. 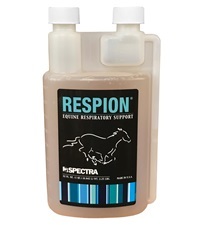 Respion® Equine Herbal Supplement 32 oz.